Thank you for your interest in the Greater Concord Chamber of Commerce. We are a non-partisan, nonprofit 501(c)(6), membership-based organization run by members for members. Our chamber brings local business leaders together and helps create a healthy economy in New Hampshire’s Capital Region. Members gain access to our network of more than 940 companies and the 20,000+ people affiliated with those companies. 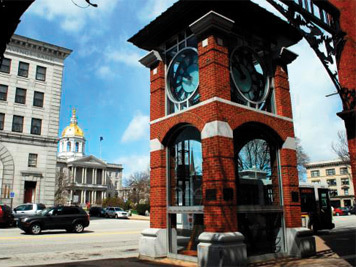 Concord is a “Main Street” community. As a member of our Chamber you’ll have an audience with decision-makers and CEOs. Our benefits include both a.m. and p.m. networking events (our well-attended Business After Hours events average 200+ attendees), educational and enrichment opportunities, advocacy on local and legislative issues, exclusive advertising and marketing opportunities, member-to-member discounts, and “Yes, I’m a member!” status to the fastest-growing and most vibrant chamber in the state according to our members. Our annual Business Showcase is a member favorite for its easy exposure to local business leaders and the public. For businesses trying to reach a broader audience, we offer the Tri-City Expo in conjunction with the state’s two other largest chambers: Manchester and Nashua. If your company wants to attract out-of-state visitors or newcomers, we can help with that. People planning to travel to New Hampshire or relocate to the area frequently reach out to us for information and referrals. We’re their first line for places to visit, shop, stay, and dine. Our website had more than 55,000 hits in January. And our Visitor Center is conveniently located on Main Street. It has an entire wall dedicated to brochures and maps. Our annual Guidebook to Greater Concord is mailed to people all over the country, and readily available in the reception areas of hundreds of leading businesses in the area. Tourists can also pick them up (and frequently do!) from the Chamber's Visitor Center or at the Manchester-Boston Regional Airport as well as the I-93 North State Welcome Center in Hooksett. As our staff likes to put it – we work for you. We offer a robust list of member benefits. Pick and choose what’s relevant to you and the needs of your company and please reach out to us with any questions that you might have about doing business with, or joining the Greater Concord Chamber. Contact us if you wish to attend a future no-obligation membership briefing (lunch is on us!) 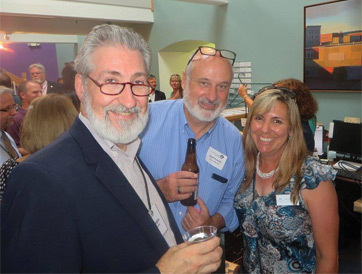 or join us for a fun evening of networking at Business After Hours, held the second Tuesday of every month from 5:30-7 p.m. Check out the Member to Member Discounts offered by fellow Greater Concord Chamber of Commerce members.